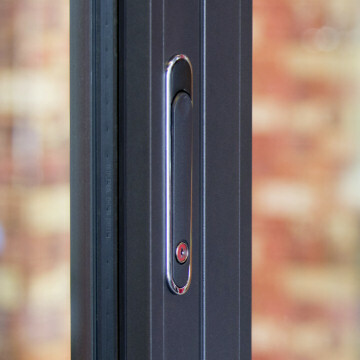 If your chosen configuration (door style) has a traffic door then it will also have an industry standard Lever-lever handle. 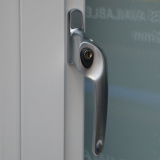 These handles are erganomic, easy to use and allow for quick and easy inside and outside access. 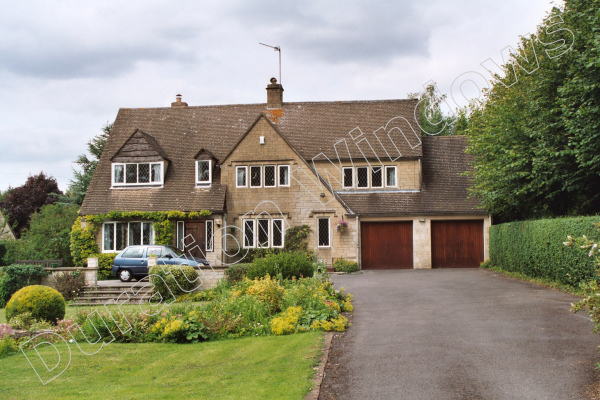 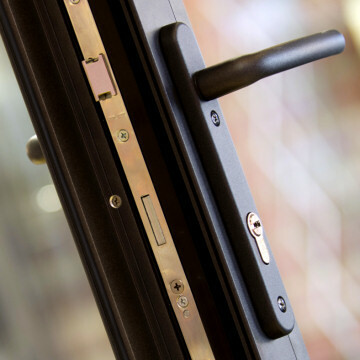 They come with a high security superior locking cylinder and operate high security multi-point locking. 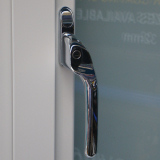 If you want a stainless steel lever-lever handle please speak to us. 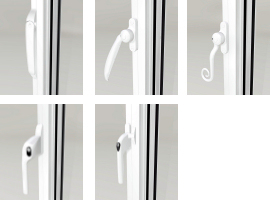 Our Flush-line handles are stylish, clean and contemporary. 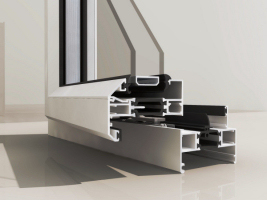 They are recessed into the sash profile in order to provide an almost flush finish, and result in a really tight stacking bifold door. 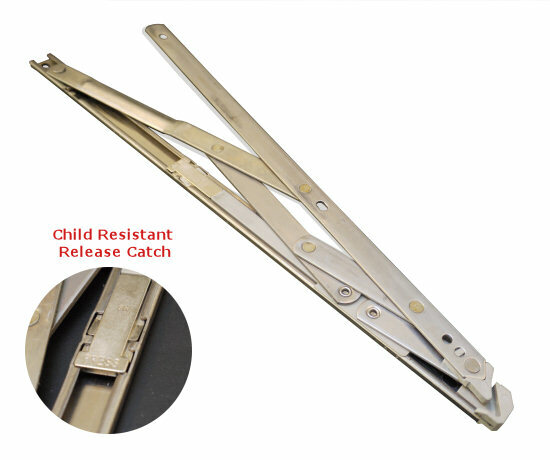 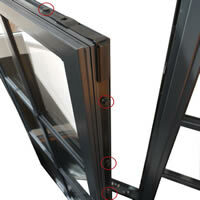 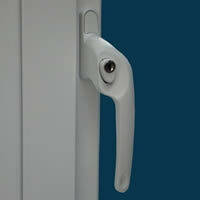 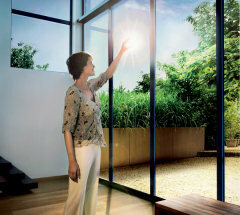 They are robust and enable you to pull in the doors without the need for additional D-handles. 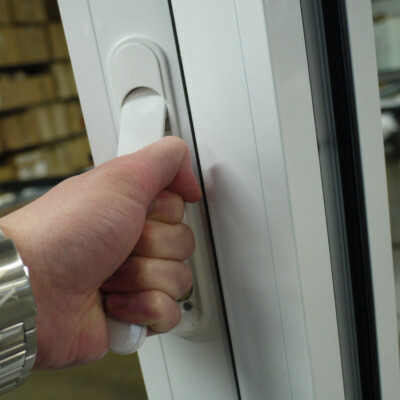 The handles drive heavy duty shoot bolt locking and have a key locking facility. 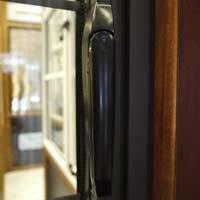 Please note: You can choose to have the handle casing and trim to match or in chrome to highlight the handle. 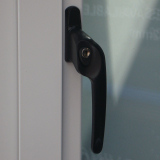 The screw cap on the handle is white on the white handle and black on all other handle colours. 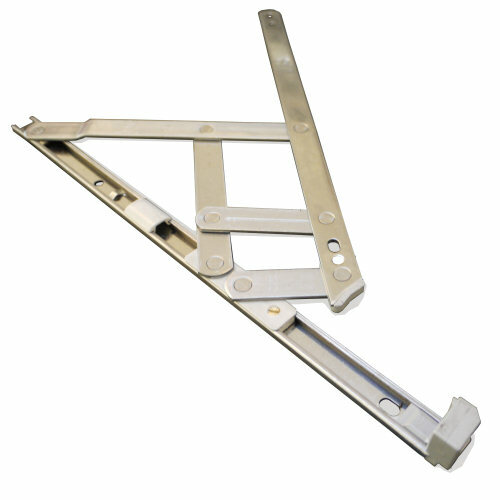 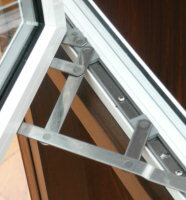 Buffer magents are used on door configurations where they are needed to prevent the traffic door handles hitting into the adjacent panel as the door is opened. 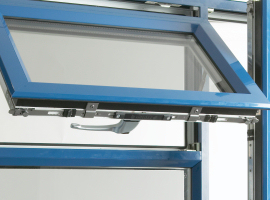 They are also used to secure the traffic door panel to the adjacent panel, holding them in an open position and keeping them from being taken by the wind. 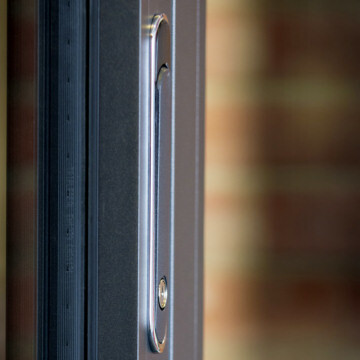 The buffer magnets come in a range of finishes, but it is not recommended to get them painted to match the door. 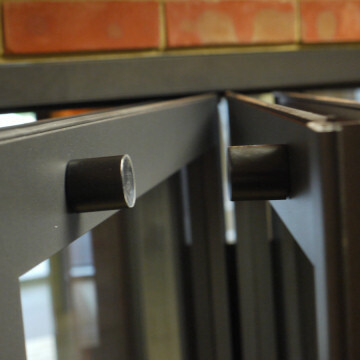 A wet paint finish is used, which is not as durable as a baked on factory finish and wont last five minutes when applied to a buffer magnet. 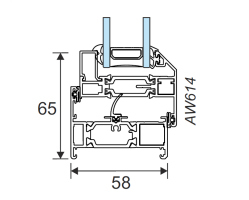 If you want a stainless steel buffer magnet please speak to us. 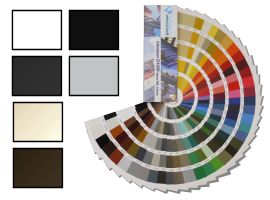 We can RAL colour buffer magnets, but they carry no guarentee. 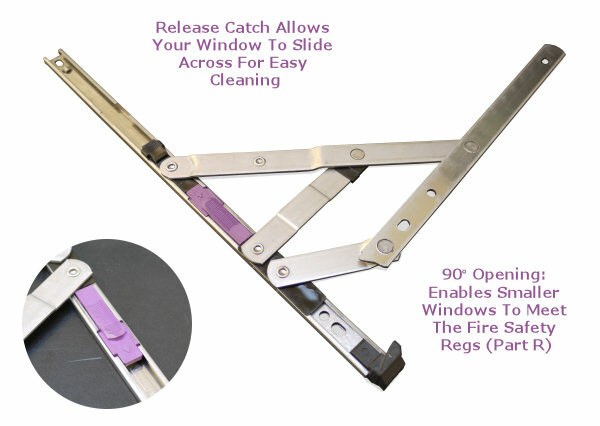 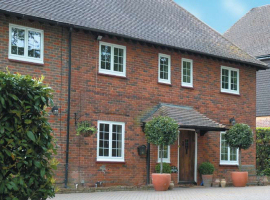 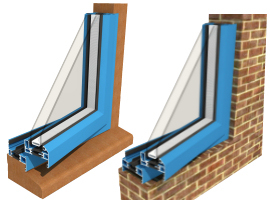 For our Premium Aluminium Windows we offer industry standard Espag handles, or with our Chelton Vent (AW675) you have any of the handles from our Chelton® Handle Range. 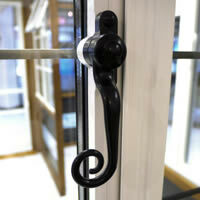 A comprehensive selection of handles that aims to meet the needs of any home. 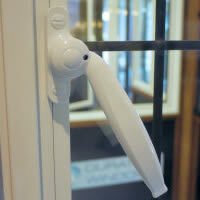 The Chelton handles are all our own designs and are currently exclusive to Duration Windows. 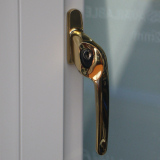 The Chelton® Handle Range includes, a period Monkey Tail handle, an art deco steel window handle and our contemporary slim-line handle.